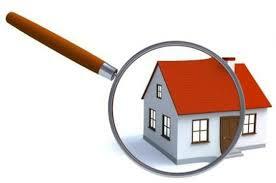 Hiring a home inspector is a smart move prior to purchasing a home. This MSN Real Estate article puts in perspective some of the most common issues that come up and what you can expect in terms of cost to repair the items. So you’ve decided to put an older home on the market or invest in one that looks like it needs some work — what now? Before buying or selling a home, it’s important to be aware of problems with a home and subsequent repair costs. That’s why people pay for home inspections, which cost approximately $300 to $370 on average. Here are some immediate fixes to consider and secondary repairs that shouldn’t deter homeowners from selling or buying a home. Repair a roof: $730 to $1,100; problems such as leaks, pests, ice dams and missing shingles are roofing issues that should be addressed. If a roof is nearing the end of its life, then the buyer or seller should plan on investing in a new one. Replace a water heater: $870 to $1,100; because many homes run the risk of having older water heaters, it’s imperative that you replace them to avoid problems with plumbing and heating during the winter. Repair a foundation: $3,580 to $5,400; repairing a foundation is imperative to the safety of your home, so be sure it doesn’t need piering or slabjacking to get it upright again, as these will cost more than fixing cracks. Because home-inspection reports are so extensive, they might reveal smaller problems like the air conditioning not working correctly, leaks in the window or door and cracks in the flooring. While these are issues that need to be addressed at some point, they are not as important or dangerous as the problems mentioned above. Repair an air conditioning system: $350 to $510; strange noises and less cool air than usual might be easy repairs, but be aware of more extensive problems such as inefficient duct systems or problems with the unit itself that might require a replacement. Repair one or more windows: $310 to $450; window cracks, leaks and pane repair are easy fixes, but if the window itself is falling apart, it might need to be replaced. The home inspector will be able to tell you how bad the issue is in their report. Repair a door: $240 to $350; a bad door knob, lock or leaks can be fixed with a few trips to the local hardware store, but if the door doesn’t fit or has extensive cracks, it might need to be replaced. Clean ducts and vents: $320 to $430; dirty ducts and vents could decrease the amount of air getting circulated in your home, which makes it harder to regulate the indoor temperature. What if a house fails a home inspection? It’s actually impossible for a home to fail a home inspection, according to the ASHI. Rather the home inspection is merely the examination of the house, much like a doctor examines a patient. It bears no relevance to the actual value of the home or its compliance to city standard building codes. The main purpose of the inspection is to illustrate the overall health of the home and what repairs are needed.